Cambridge Training College Britain is an independent training provider based in Great Britain. Cambridge Training College Britain has no relation with Cambridge University in Britain. Any training centre affiliated to Cambridge Training College Britain confirms by signing a binding contract with Cambridge Training College Britain that they know and they are fully aware of the fact that Cambridge Training College Britain has no relation with Cambridge University in the UK and is not associated nor affiliated to Cambridge University or the British Council. 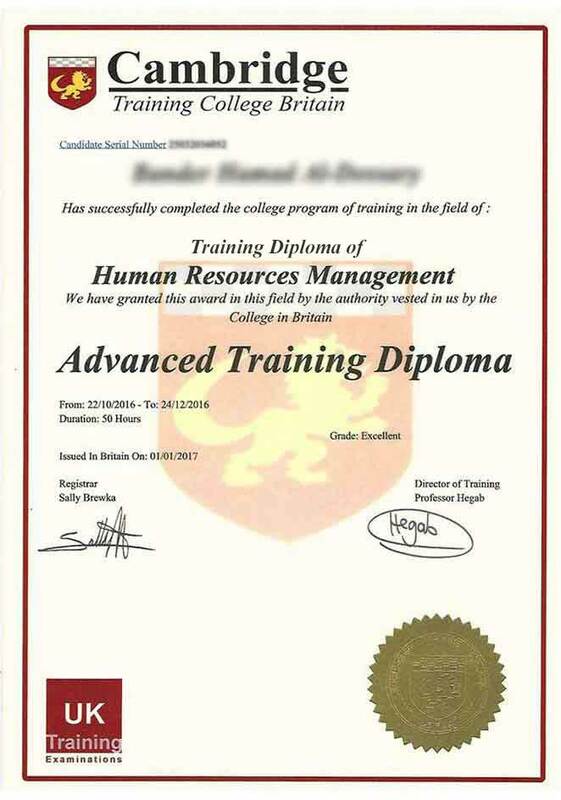 Any training centre affiliated to Cambridge Training College Britain knows and is fully aware that the Training Certificates and Training Diplomas awarded by Cambridge Training College Britain are not qualifications or degrees. They are awarded to trainees and students who complete training courses at our affiliated training Centres under the supervision of Cambridge Training College Britain which is registered as a trade mark . Training Centres which wish to be affiliated to Cambridge Training College Britain in London must sign a contract which include covenants relevant to quality, standards and compliance. The said College aim to deliver a high quality service to those who are seeking to obtain high skills as well as respected award. Many people across the world have used Cambridge Training College awards to both diversity their portfolio and or CV. Since the College is fundamentally a Training and Examination organization as can be inferred by our name, we aim to enhance learners job prospects by ensuring that learners have acquired not only an award, but also a set of skills that can be of major use in the employment market. As a quality asurance training and examination British Company , the College also ensures that quality standards are met and that candidates will receive professional service and real value for money. The College has various means by which and through which a learner can achieve an award. For example, if a student hasn't the time to go to classes, perhaps they will find the “Home learning” option more suited for them this will provide them with course materials and examinations electronically. Alternatively for those students studying in the Middle East, students can try and go to one of our many affiliated centers to study . Cambridge Training College Britain appreciates enthusiasm from learners , so be motivated today you will be successful tomorrow.